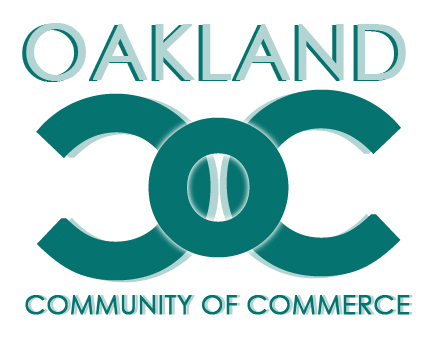 The Oakland Community of Commerce invites everyone to participate in our exciting new group focusing on the interaction of our businesses, recreation and arts communities. Formally introduced to the community in February 2013, this new concept has been excitedly welcomed by over 60 local businesses. Oakland residents are also encouraged to become members so that every voice in our community can be heard as we grow towards our common goal of building a stronger and even healthier Arts, Recreation and Commerce community. We want to encourage people to come into Oakland and shop at our local businesses, to buy local goods and services, to encourage the use of our natural resources and to promote and foster our community with our local arts programs. The Oakland Community of Commerce meets the first Monday of each month. Meeting locations vary month to month as we continue to grow our membership and promote our newest members. Please visit www.thinkoakland.org for meeting times and locations or contact Chairman Peter J. Kikot at chair@thinkoakland.org for more detailed information. The next meeting is tonight, Tuesday, July 9th at 6:30 p.m. at Charles S. Corallo’s Ramapo Valley Road chiropractic practice.